Hello Guys Today I am Going To Explain The Tutorial On Hacking By Using Telnet Service Of Windows Hacking. NOTE: Will only work if the person you are trying to hack is using a Windows Xp operating system. You need to know victims computers username and password. This is to start telnet in your computer. 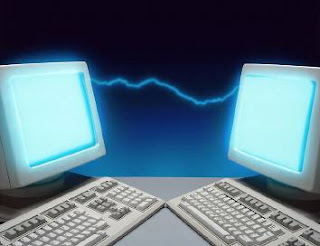 You need it started in your computer and victims computer in order to connect successfully. Okay so you dont know your victim’s ip address nor the open port number. These are some ways you can get it. -Persuade to give it to you. Tell them to open command prompt and to type in “ipconfig” and to read you the number. May be a little suspicious. -Go to www.readnotify.com and register and follow the steps. What this does is when your victim opens the message you sent him/her, the ip address will be given to you in your read notify account. Okay so you got the ip address now you need the port. What you’ll need to do is disable the victim’s computer’s firewall to open all ports. To do this you’ll have to create and send the victim a .bat file that disables the firewall. msg * Hey isn’t this cool! -net start telnet will start the victims telnet. Remember what i said in the beginning, telnet has to be started in both computers in order to work. okay so you know the victim’s ip address, the firewall is off, and telnet is started. Your ready to connect. There are some programs that cracks the computer’s password like cain and abel and ophcrack but im not gonna get into that message me if for more info. Ur Welcome Guys.. Please Try To Mention Your Names..